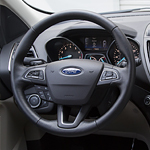 Ford Escape is All About Convenience! The Ford Escape is a popular compact SUV that offers you superb performance, good gas mileage, sufficient cargo/passenger space and various convenience features. 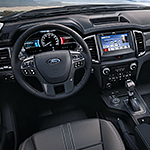 The Ford Escape offers you the convenience and space of an SUV with the comfort of a car. Stop at Wynne Ford and see the new Ford Escape for yourself the many unique things the new Ford Escape has to offer. The EcoSport offers satellite radio. You can take advantage of SiriusXM Satellite Radio with a free trial for six months. SiriusXM Satellite Radio offers more than 150 channels of music, sports, news, comedy, entertainment, and more. The 2019 Ford Super Duty is a rangy and popular full-size pickup truck. As its name implies, the 2019 Ford Super Duty is built to operate under the toughest of conditions. To this end, this hearty vehicle includes several muscular features such as high torque capability and turbodiesel power. The 2019 Ford Super Duty pickup truck is designed to move and haul a wide variety of very heavy loads. To perform these tasks, this vehicle brings a 6.2 L V-8 motor to the table. 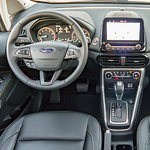 The 2019 Ford Edge is one of the vehicles that are worth checking out for the many features which include the technology based features. 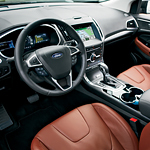 There are a lot of innovations that the Ford Edge is taking advantage of which will bring you a lot of benefits as a driver or a passenger. When you get a Ford Ranger at Wynne Ford, you have the opportunity to get a cabin that meets your unique needs. 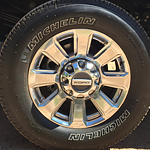 This sought-after mid-sized pickup truck is available with two distinct cab models. They offer versatile seating and storage options. If you're on the hunt for an SUV that's filled with great tech features, take a look at the new Ford Explorer. 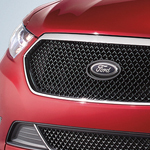 This popular three-row SUV is available at Wynne Ford with an optional Safe and Smart package. This package includes great features that can change the way you drive. The package is designed to make your drive much easier. Automatic features help you focus on the road ahead. The Ford Transit vehicles remain a popular option for fans of vans or cargo wagons. The vehicles are designed to provide ample passenger space or sufficient storage capability. However, the technological features of the 2019 vans make the vehicles more useful than ever. In the event that sensors perceive a possible collision with another vehicle or a pedestrian, the driver receives audible and visual alerts. The brakes become more sensitive. 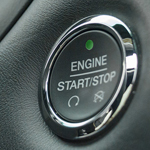 If the driver does not respond to the alert quickly, the brakes engage automatically. Ford announced in a recent press release that it will launch its Ford Co-Pilot360 with its 2019 SUVs, trucks, and cars. 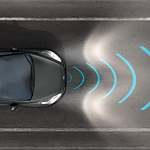 This is a package of standard driver-assist technologies that provide you and your passengers with outstanding protection. Our staff at Wynne Ford in Hampton always try to keep our consumers informed about the features offered with our models, so you can find out more about the Ford Co-Pilot360 below. The Ford Flex is one of the more popular cars on the road in Hampton and elsewhere in the United States today. There are a variety of reasons why the Ford Flex gets top marks, including its dynamic tech features. 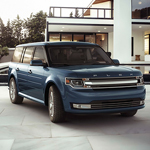 The Ford Flex technology features include intelligent all-wheel drive. This all-wheel drive system provides stability and control, even in less than ideal weather conditions.